Overeating, poor memory formation, learning disorders, depression – all have been linked in recent research to the over-consumption of sugar. And these linkages point to a problem that is only beginning to be better understood: what our chronic intake of added sugar is doing to our brains. The key word in all of the stats is “added.” While a healthy diet would contain a significant amount of naturally occurring sugar (in fruits and grains, for example), the problem is that we’re chronically consuming much more added sugar in processed foods. That’s an important clarification because our brains need sugar every day to function. Brain cells require two times the energy needed by all the other cells in the body; roughly 10% of our total daily energy requirements. This energy is derived from glucose (blood sugar), the gasoline of our brains. 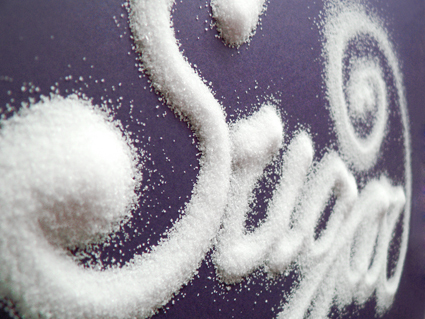 Sugar is not the brain’s enemy — added sugar is. Research indicates that a diet high in added sugar reduces the production of a brain chemical known as brain-derived neurotrophic factor (BDNF). Without BDNF, our brains can’t form new memories and we can’t learn (or remember) much of anything. Levels of BDNF are particularly low in people with an impaired glucose metabolism–diabetics and pre-diabetics–and as the amount of BDNF decreases, sugar metabolism worsens. In other words, chronically eating added sugar reduces BDNF, and then the lowered levels of the brain chemical begin contributing to insulin resistance, which leads to type 2 diabetes and metabolic syndrome, which eventually leads to a host of other health problems. Once that happens, your brain and body are in a destructive cycle that’s difficult if not impossible to reverse. Research has also linked low BDNF levels to depression and dementia. It’s possible that low BDNF may turn out to be the smoking gun in these and other diseases, like Alzheimer’s, that tend to appear in clusters in epidemiological studies. More research is being conducted on this subject, but what seems clear in any case is that a reduced level of BDNF is bad news for our brains, and chronic sugar consumption is one of the worst inhibitory culprits.